1. Chrome Cylinder, available option for all smoothie and bypass shocks. 15. 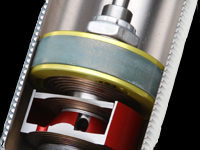 Pop -off Rebound Valving, makes shock a compression damper only. Available option on all Performance Race and Pure Race Series shocks. 2. Polished or Anodized Reservoir, available option for all shocks with reservoir. 16. Additional Bypass Tube, available option for all bypass shocks. 3. 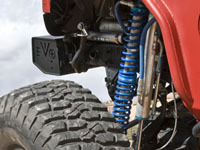 Polished or color Anodized components, available option for all shocks with reservoir. 17. Custom Cylinder Length, available option for all shocks. 4. 45 Degree Hose Fitting at End Cap, available option on all remote reservoir shocks for restrictive mounting location. 18. Custom Shaft Length, available option for all shocks. 5. 90 Degree Hose Fitting at End Cap, available option on all remote reservoir shocks for restrictive mounting location. 19. 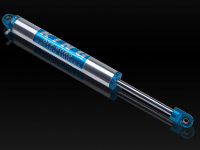 Lighter 3/4” Shock Shaft, available option for all 2.0 and 2.5 Performance Race Series shocks. 6. 45 Degree Hose Fitting at Reservoir, available option on all remote reservoir shocks for restrictive mounting location. 20. Rubber Bump, available option for all Performance Race and Pure Race Series shocks. 8. 45 Degree Piggy back mounting, available option on 2.0 Performance Race Series shocks and coilovers with restrictive reservoir mounting location. 22. 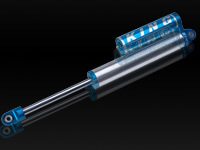 Longer Rod Ends, optional available sizes -3/8” (3/4” shaft only), +1/2”, +3/4”, +1”, +2”, +3”, available option for most Performance Race and Pure Race Series shocks. 9. 90 Degree Piggy Back mounting, available option on 2.0 & 2.5 Performance Race Series shocks and coilovers with restrictive reservoir mounting location. 23. Welded Loop Rod End, available option for all Performance Race and Pure Race Series shocks. 10. Longer Remote Reservoir Hose, available option on all remote reservoir shocks. 24. Black Coil Slider, available option for all 2.0 & 2.5 Performance Race Series coil over shocks. 11. Black Remote Reservoir Hose, available option on all remote reservoir shocks. 25. 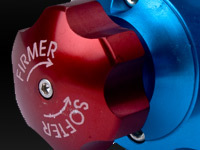 Billet Nylon Coil Slider, withstands temperature up to 450 degrees. Available option for all 2.0, 2.5, Performance Race Series coil over shocks. Standard on Pure Race Series coil over shocks. 12. Viton Seals, seals withstand temperatures up to 450 degrees. Standard on all Pure Race Series shocks. 26. Aluminum Coil Slider Cover, option available in countless colors for all 2.0 & 2.5 Performance Race & Pure Race Series coil over shocks. 13. Compression Adjuster, available option for 20 positions of adjustability for all piggyback and remote 2.0” & 2.5” Performance Race and Pure Race Series. 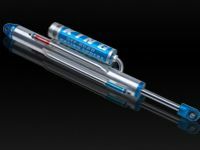 Available option on Performance Race series shocks. 27. 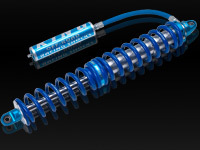 Triple Rate Spring Assembly, available option for all Performance Race & Pure Race Series coil over shocks. 14. Spherical Bearing Reducers / Spacers, available to fit 1/2” & 5/8” bolt sizes and 1 1/4” & 1 1/2” mounting tab widths, some metric sizes available. 28. Raised Spring Plate, available option for all Performance Race & Pure Race Series coil over shocks. 29. Black King Logos, available option for all King products.